With a growing interest in healthy, fresh foods and sustainable living, you may be considering a backyard chicken coop. According to a report from Good Morning America, backyard chicken coops are gaining popularity across the country. 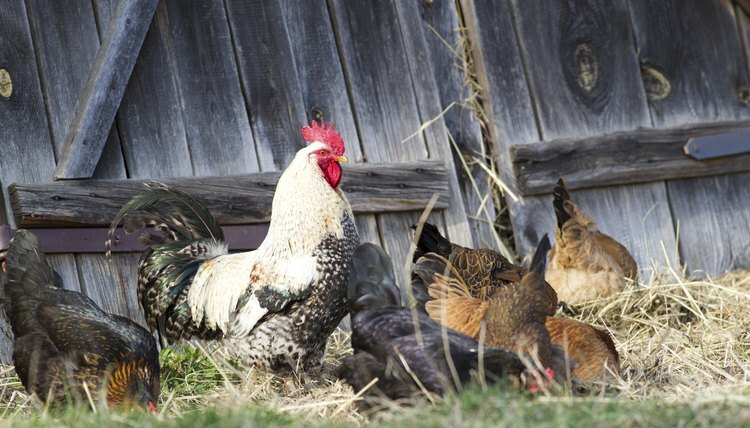 While many cities and towns now allow for backyard chickens, their love for loud or aggressive roosters has not grown. Luckily, roosters are not necessary for egg production. Hens do not need roosters present to lay eggs. A rooster is only necessary if you desire fertilized eggs to raise more chickens. Young hens, known as pullets, begin laying eggs around 16 to 24 weeks of age. How often a hen lays an egg depends on a variety of factors, such as breed and the time of year. While roosters are not necessary for egg production, they are necessary for egg fertilization. If a hen and rooster mate, the hen lays fertilized eggs. A hen lays a clutch, or collection of eggs, and then sits on the eggs to warm them and cause embryo development. If you do not intend to raise chicks, fertilized eggs are edible. Once a freshly hatched egg goes into a refrigerator, any chance of embryo development stops.